In July 2015, Explore Indochina will be heading to the roof of the world to complete its first ever run of the Indian Himalayas. Digby has made three exploratory rides there in recent years and has come up with a unique route not offered by any other tour company. 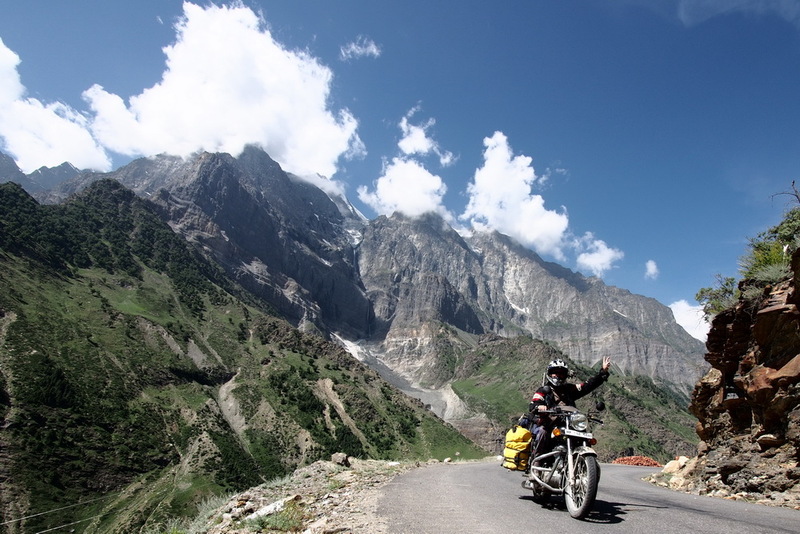 Not only will you ride the Spiti Valley, but also the run from Manali to Leh and from Leh to Srinagar. Aside from conquering the highest motorable passes in the world, you will also negotiate desert plains and imposing mountain gorges. High standard accommodation ranging from Raj residences, to Buddhist monasteries to riverside camp sites will keep you comfortable while a 500cc Royal Enfield motorbike with mechanical backup will ensure a smooth ride. This is an ambitious ride, with both on and off road, that is well paced and planned. The scenery is quite simply out of this world so get in contact as we will be running another group of past Explore Indochina customers to the top of the world in July 2016.